It’s not (I hasten to add) that I have a particular predilection for poetry’s oracular role, but I think I do see a certain necessity – at times – for a writer to assume the robes of Tribune of the People. In any case, they (we?) do, and it can be quite interesting to see just how they square this with other aspects of their artistic practice. In many ways New Zealand poetry is still reeling from the impact of James K. Baxter. He occupies a position somewhat analogous to that of Robert Burns in Scottish literature (a comparison I suspect he would have relished): a towering genius who could never quite reconcile himself to the laws and manners of the rest of society. He began as a teenage wunderkind, his early poems being included in the second edition of Allen Curnow’s epoch-making Book of New Zealand Verse (1945, rev. ed. 1951, final apotheosis as the Penguin Book of New Zealand Verse in 1960). He ended as a kind of social and religious revolutionary, having founded a commune at the tiny settlement of Jerusalem on the Whanganui River, where he wrote some of his very finest poetry – the Jerusalem Sonnets (1970), Jerusalem Daybook (1971) and Autumn Testament (1972). Some things I cannot like. And what are some of these things he “cannot like”? The sound of the opening and shutting of bankbooks. And the whisper of the human heart. New Zealand is one of those countries divided in two halves. 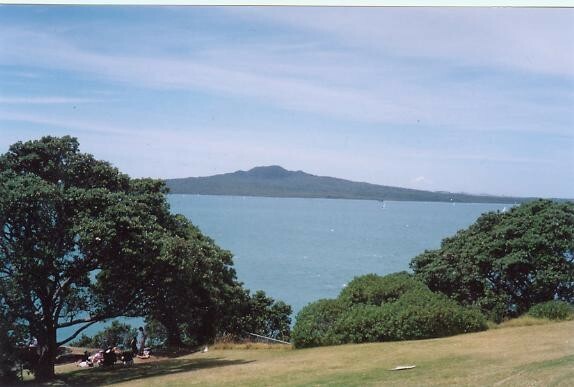 Just as, in Australia, Sydney is locked in perpetual battle with Melbourne; in Scotland, Edinburgh with Glasgow; in Brazil, Rio de Janeiro with Sao Paulo; so in New Zealand, Auckland is thought to be a sink of iniquity and cosmopolitan pretension running roughshod over the solider values of the rest of New Zealand. It’s Heartland (which, strangely, seems somehow to include the other large cities, including our politician-&-bureaucrat-infested capital Wellington) against Auckland all the way. Many have therefore taken comfort from these lines of Baxter’s (a native of the south of the South Island) and the way in which they lay the blame for our land’s ills squarely at Auckland’s door (“Mr. Muldoon,” by the way, was a particularly loathsome ex-Prime Minister of ours, who ruled the country in dictatorial fashion between 1975 and 1984). Except that the other towns resemble you exactly. It’s almost inconceivable now just how wicked the next four lines sounded at the time (I should know, having been ten years old at the time). You mean to say that you actually take drugs, Mr. Baxter? Not a bad bit of impromptu word-painting there. Most of our towns are still surrounded by a scurf of garishly painted industrial warehouses and thinly described rubbish dumps to this day. It’s an angry poem, a disgusted poem, the poem of a man at the end of his tether (he was dead – mainly of exhaustion, it seems, though the official cause was a bad heart – within a few months of writing it). O Father Lenin, help us in our great need! The people seem to enjoy building the pyramids. Moses would get a mighty cold reception. For a pat on the head and a dollar note. I guess my problem is that I can’t read them out loud without wanting to burst into tears. They seem to me among the most beautiful and moving words I’ve ever encountered.